2Department of Industrial Engineering, Iran University of Science & Technology, Tehran, Iran. In this paper, a new multi-objective time-cost constrained resource availability cost problem is proposed. The mathematical model is aimed to minimize resource availability cost by considering net present value of resource prices in order to evaluate the economic aspects of project to maximize the quality of project's resources to satisfy the expectations of stakeholders and to minimize the variation of resource usage during project. Since the problem is NP-hard, to deal with the problem a simulated annealing approach is applied, also to validate our results GAMS software is used in small size test problems. Due to the dependency of SA algorithm to its initial parameters a taghuchi method is used to find the best possible SA parameters combinations to reach near optimum solutions in large size problems. Zhu, X., Ruiz, R., Li, S., & Li, X. (2017). An effective heuristic for project scheduling with resource availability cost. European journal of operational research, 257(3), 746-762. Hartmann, S. (1998). A competitive genetic algorithm for resource‐constrained project scheduling. Naval Research Logistics (NRL), 45(7), 733-750. Bouleimen, K. L. E. I. N., & Lecocq, H. O. U. S. N. I. (2003). A new efficient simulated annealing algorithm for the resource-constrained project scheduling problem and its multiple mode version. European journal of operational research, 149(2), 268-281. Brucker, P. (2002). Scheduling and constraint propagation. Discrete applied mathematics, 123(1), 227-256. Li, H., & Womer, N. K. (2015). Solving stochastic resource-constrained project scheduling problems by closed-loop approximate dynamic programming. European journal of operational research, 246(1), 20-33. Ma, W., Che, Y., Huang, H., & Ke, H. (2016). Resource-constrained project scheduling problem with uncertain durations and renewable resources. International journal of machine learning and cybernetics, 7(4), 613-621. Vanhoucke, M., & Coelho, J. (2016). An approach using SAT solvers for the RCPSP with logical constraints. European journal of operational research, 249(2), 577-591. Yassine, A. A., Mostafa, O., & Browning, T. R. (2017). Scheduling multiple, resource-constrained, iterative, product development projects with genetic algorithms. Computers & industrial engineering, 107, 39-56. Kreter, S., Rieck, J., & Zimmermann, J. (2016). Models and solution procedures for the resource-constrained project scheduling problem with general temporal constraints and calendars. European journal of operational research, 251(2), 387-403. Yamashita, D. S., Armentano, V. A., & Laguna, M. (2007). Robust optimization models for project scheduling with resource availability cost. Journal of scheduling, 10(1), 67-76. Van Peteghem, V., & Vanhoucke, M. (2013). An artificial immune system algorithm for the resource availability cost problem. Flexible services and manufacturing journal, 25(1-2), 122-144. Tavana, M., Abtahi, A. R., & Khalili-Damghani, K. (2014). A new multi-objective multi-mode model for solving preemptive time–cost–quality trade-off project scheduling problems. Expert systems with applications, 41(4), 1830-1846. Zhalechian, M., Tavakkoli-Moghaddam, R., & Rahimi, Y. (2017). A self-adaptive evolutionary algorithm for a fuzzy multi-objective hub location problem: An integration of responsiveness and social responsibility. Engineering applications of artificial intelligence, 62, 1-16. Verbeeck, C., Van Peteghem, V., Vanhoucke, M., Vansteenwegen, P., & Aghezzaf, E. H. (2017). A metaheuristic solution approach for the time-constrained project scheduling problem. OR spectrum, 39(2), 353-371. Van Peteghem, V., & Vanhoucke, M. (2015). Heuristic methods for the resource availability cost problem. Handbook on project management and scheduling (pp. 339-359). Springer. Eshraghi, A. (2016). A new approach for solving resource constrained project scheduling problems using differential evolution algorithm. International journal of industrial engineering computations, 7(2), 205-216. Alhumrani, S. A., & Qureshi, R. J. (2016). Novel approach to solve Resource Constrained Project Scheduling Problem (RCPSP). International journal of modern education and computer science, 8(9), 60. Bilolikar, V. S., Jain, K., & Sharma, M. (2016). An adaptive crossover genetic algorithm with simulated annealing for multi mode resource constrained project scheduling with discounted cash flows. International journal of operational Research, 25(1), 28-46. Azadeh, A., Habibnejad-Ledari, H., Abdolhossein Zadeh, S., & Hosseinabadi Farahani, M. (2017). A single-machine scheduling problem with learning effect, deterioration and non-monotonic time-dependent processing times. 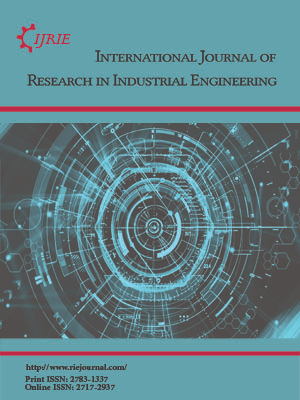 International journal of computer integrated manufacturing, 30(2-3), 292-304.